Blanching locks all that wonderful goodness inside and helps to preserve it there till that food reaches your table. Whether your vegetables come to you from the garden or from the grocery store they require appropriate care and cooking to insure their flavour and health benefits reach your plate. The fall harvest is bountiful and a busy time in our home. 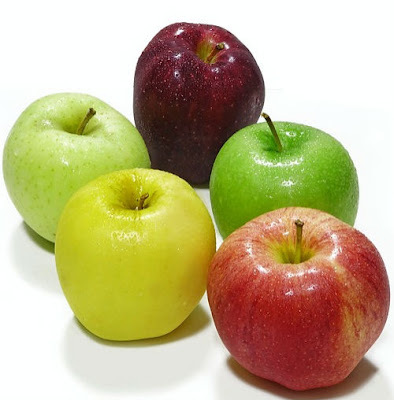 We have a variety of fruits and vegetables to preserve with each coming due in their own time. Swiss Chard is a plant that tends to keep producing for quite a lengthy period of time so we begin snipping the leaves on our Chard for individual meals practically as soon as the plant begins to mature. The plants continue to produce in abundance and our main harvest of Swiss Chard is generally in late September or early October. It is one of the last vegetables to be harvested from our garden and peaks at about the same time as beets which are a root vegetable so able to withstand frost better than the chard. 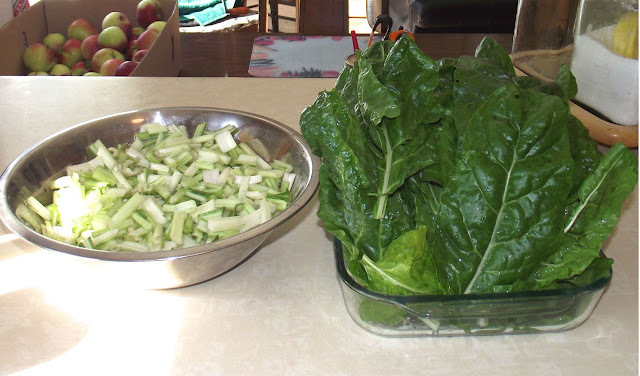 If you are growing Swiss Chard you will quickly learn that it can be quite an abundant crop. Generally two to three short rows gives us plenty of this dark green leafy vegetable in the freezer to last us through the winter months and well into mid summer the following year. Below you will find step by step instructions for blanching Swiss Chard. I still use just a large pot and ice water in the sink to prepare my vegetables for the freezer but a blanching pot definitely does make the job a lot easier. It is on my wish list. 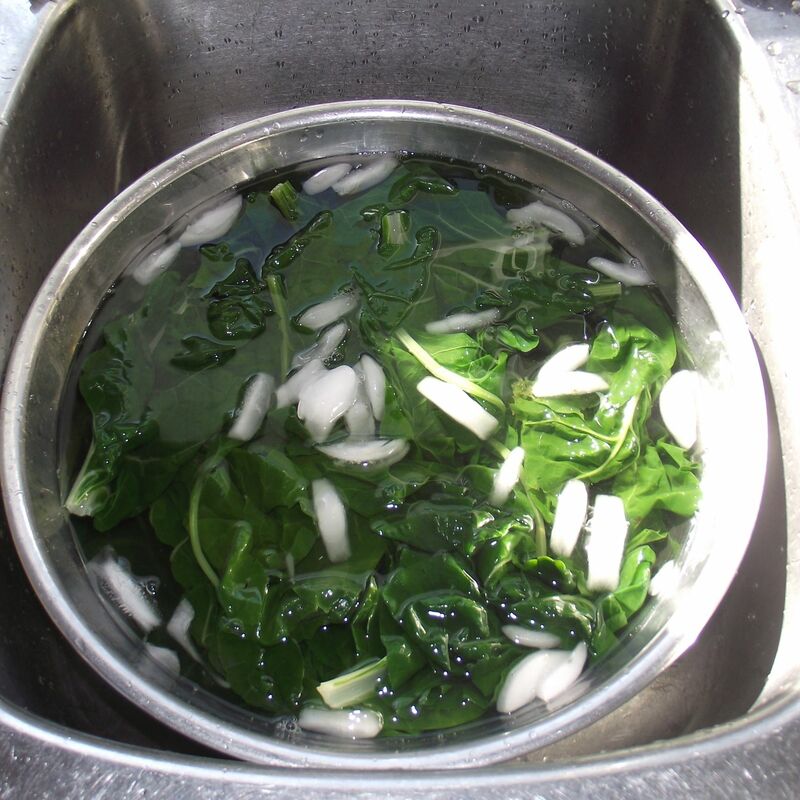 A blanching pot allows you to easily lift your vegetables out of the pot to deposit in ice water for cooling. A blancher is designed to ease the preparation of vegetables for the freezer. These pots are generally not overly expensive and last practically forever so are well worth the investment. 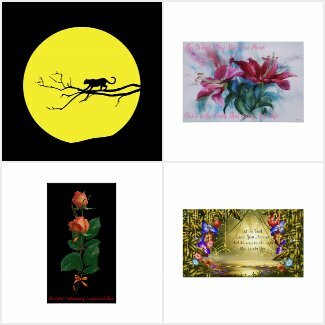 Once you have your items ready it is time to begin. The first step is to wash the leaves. During this process you can separate the leaves and stems in preparation for blanching. The stems will take longer to cook than do the leaves so it can be best to blanch them separately. The leaves take about two minutes to blanch while the stems take three to four minutes. As I clean my chard I snip off the stems and chop them into small pieces about 1 inch in length. These I place in a bowl of cold water next to where I am cleaning my leaves. You will quickly notice that Swiss Chard is quite a bulky vegetable and the washed produce can take up quite a lot of space in your work area. 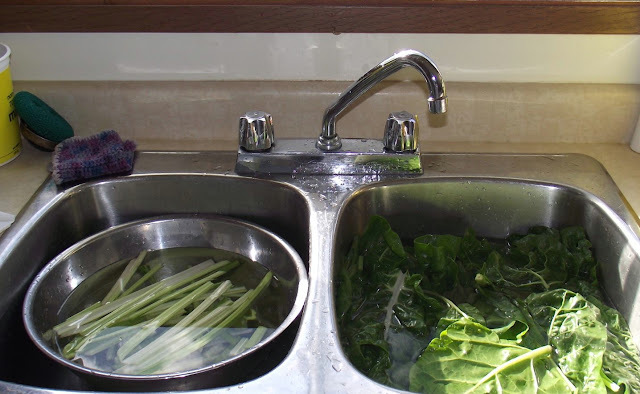 Be sure to have large bowls or pots handy to put your washed vegetable in. 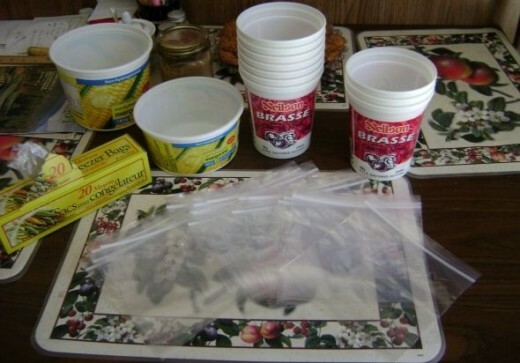 You can recycle used plastic containers or use freezer bags to store your finished product. Vacuum seal systems are ideal if you are doing a lot of preserving throughout the year. Either system works sufficiently well so how you package your food is simply personal preference. I use a combination of both and which one I use depends on the food product that I am preparing for the freezer. I do find that some plastic containers stack much better than others. They are also very easy to label with name and date which is something that should be done with every item you preserve. Having the date on each package makes it easier to use the oldest foods first. Blanching is a very important process in freezer food storage preparation. By boiling the vegetables for a specific time, and then quickly cooking them, there will be a minimal loss of colour, nutrients, flavour, and texture. 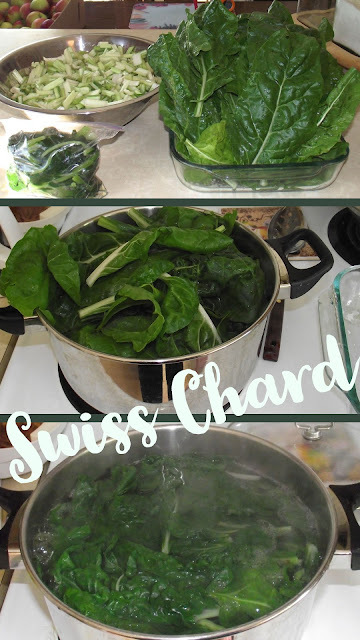 Swiss Chard is alike spinach in that it will quickly shrink down in cooking so load the pot full and tap the leaves down with a large spoon. Keep in mind that you will be cooking your leaves and stems in separate lots. 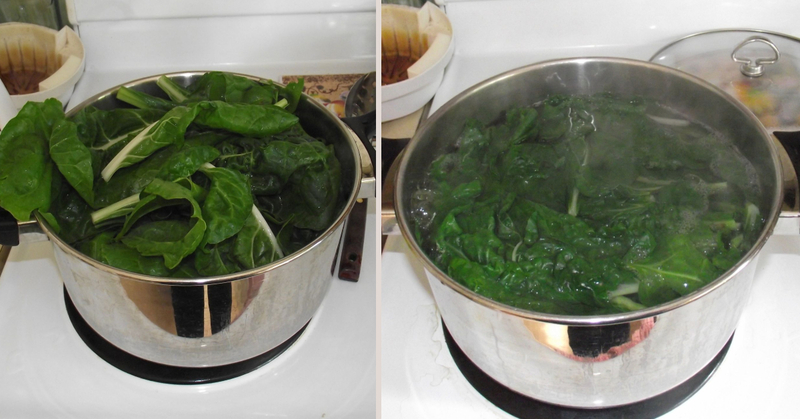 Boil your your leaf for two minutes each pot and stems for three to four minutes each pot. Fill your sink with cold water and ice cubes ready to put your vegetable in when they are finished blanching. 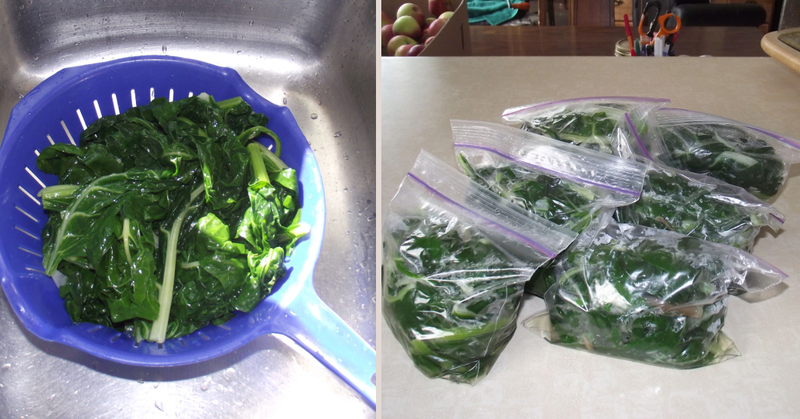 As soon as the two minutes blanching time is up submerse your Swiss Chard so it cools quickly. 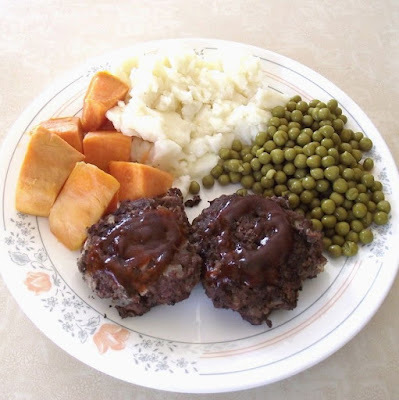 If vegetables remain hot the vegetables will continue cooking while till they cool and thus have a tendency to overcook. After the blanching process and when your vegetable is completely cooled you can then package it for the freezer. Use small containers or plastic bags for freezing your prepared vegetables. A straw can be used to help pull any excess air out of your bags as you close them. 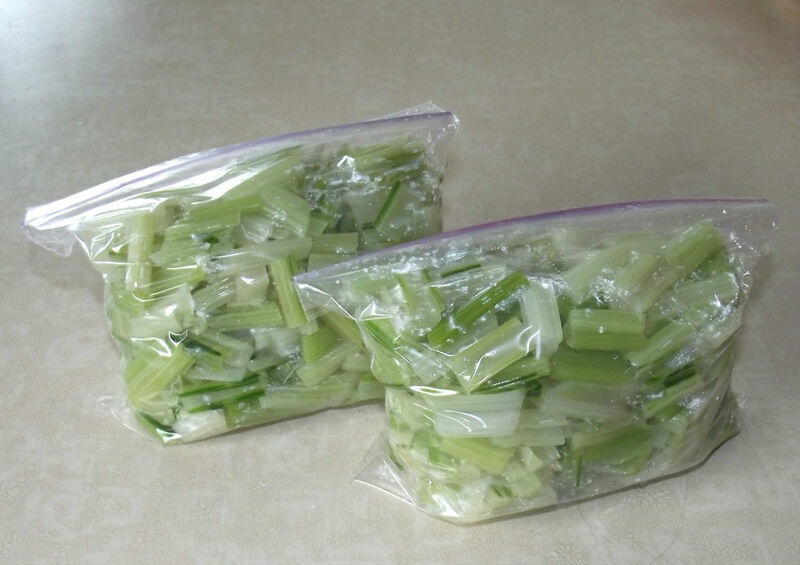 Having less air in the bag will help to prevent freezer burn so it is an important part of the process. Also available are commercial bagging systems which remove the air for you. I fill my bags about 3/4 full of leaf and 1/4 full of stem but you can also freeze these items separately. Because the leaf packs down so much during cooking I wind up with quite a bit of leftover stem which is actually a good thing. I then do up small packages of the chopped stem which will later be used in homemade soups and stews. The stems cook up nicely in these simmering dishes and wind up being much like celery would be when added into these slow cooking meals. Dark leafy green vegetables are good for you. Whether you eat them fresh in a salad or serve them cooked with your evening meal, dark leafy greens are a rich source of vitamins, minerals and antioxidants.Swiss Chard like most dark leafy vegetables is low in calories yet rich in its nutritional benefits. It is a vegetable well worth including in your diet plan. 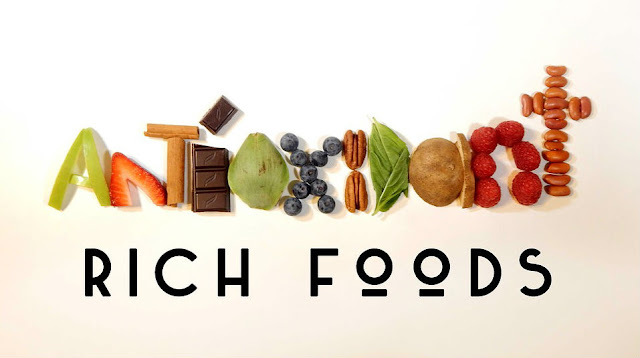 a) It is an excellent source of vitamin K, vitamin A, vitamin C, magnesium, manganese, potassium, and iron. 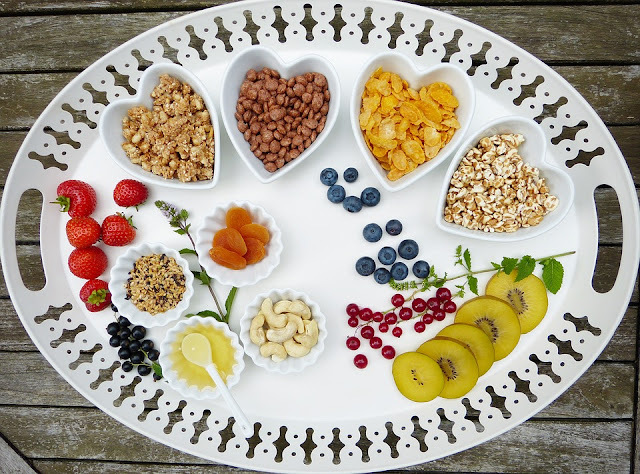 It is also a source of protein, fiber, vitamin E, folate, and a variety of B vitamins. 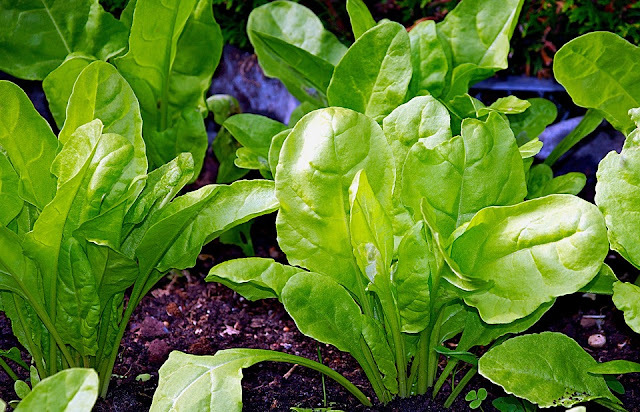 b) Swiss chard is believed to help regulate blood sugar. 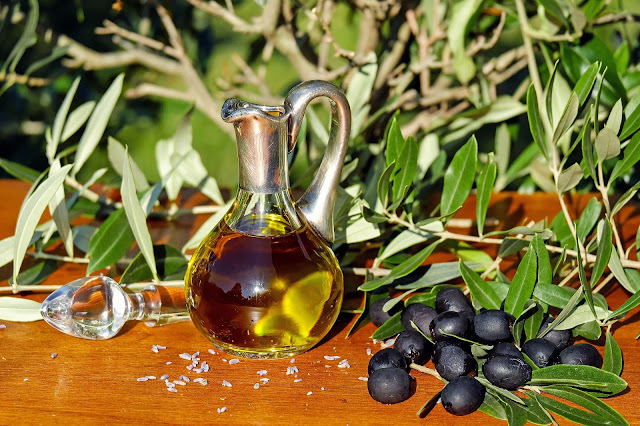 It also has anti-inflammation properties and is a beneficial food for those who suffer from arthritis. c) It can be very economical to grow or preserve fresh foods in season. Take advantage of lower prices to freeze a few. The leaves are changing colours and the fruit and vegetables are ripe and ready to be harvested. 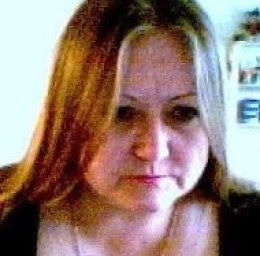 I always feel a bit like old mother Hubbard stocking my cupboards at this time of year. Our garden area is quite small but it gives us an abundance of fresh organic vegetables. We also have raspberry bushes and fruit trees scattered throughout our backyard and they supply us with quite a bounty of fresh organic food. We have never used pesticides or fertilizers on our garden yet our vegetable produce each autumn is a bountiful blessing. I compost our vegetable waste back into the garden and it provides it with nutrients. The trees in our yard attract birds and they eat a tremendous amount of insects and bugs. They chow down on a few cherries too but we are willing to share. Our relationship with them is a mutually friendly one as they help to keep pests down and this allows us to keep our fruit and vegetables organic. Virtually anyone can garden. It does not take much space. Plants are wonderfully decorative in the home so why not plant one that gives you a viable food source as well. An indoor garden really does not have to take up much space in the home. The nicest aspect of gardening your own herbs or vegetables is that it can be done in very small places. Even those individuals who live in apartments can maintain their own small harvest of fresh organic produce. Herb or lettuce gardens are excellent mini gardens for growing indoors. They do not take up much space and you can remove small snips to add into your evening meals as the plants continue to grow. Grow a green thumb today. herbs are easily grown indoors. 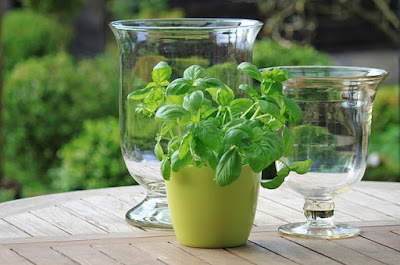 A herb or vegetable garden can be created in a pot or planter in front of any window. A planter box is all that is needed for you to plant and grow fresh herbs all year round. Then a simple snip and you have fresh herbs or spices to add into your meals. Plants will grow in virtually any small patch of dirt, planter, or pot that you put them in. A herb garden does not take up much space at all. A planter box filled with a variety of lettuce will also grow quite readily if placed in a sunny location. If you are in an apartment then a pot or long planter box can be set near a window. If you have a patio or balcony on your apartment then outdoor window or deck boxes can be used for containing your small garden patch. 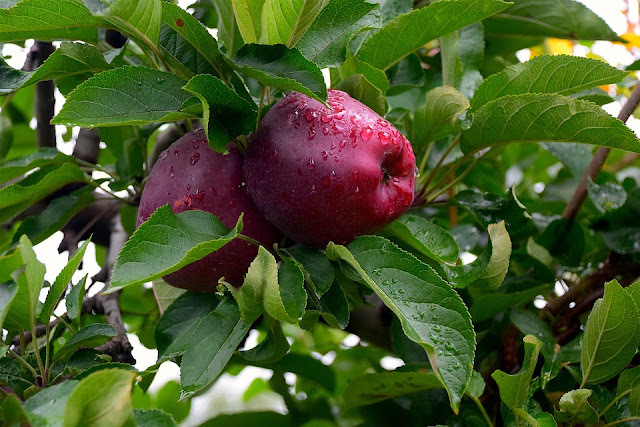 There are also smaller indoor or patio fruit trees which are excellent for city dwellers as well.